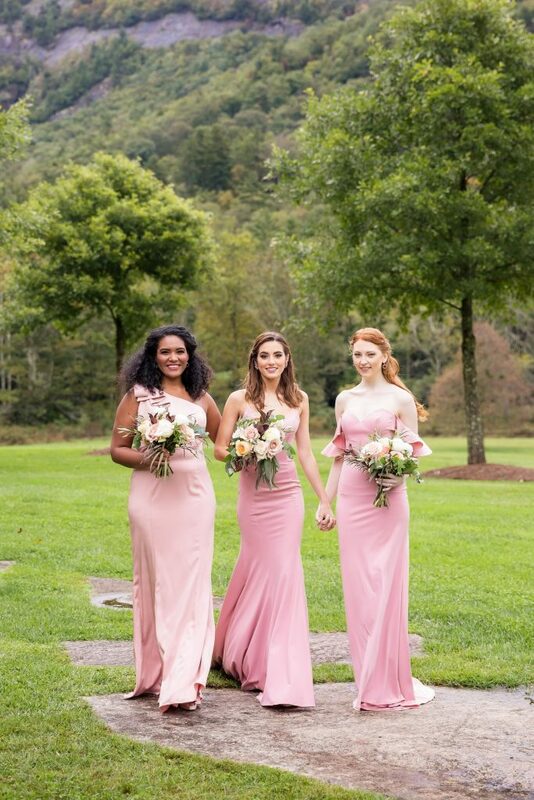 You’ve got your florals picked out and your wedding colors set—now it’s time to find bridesmaids dresses to match! 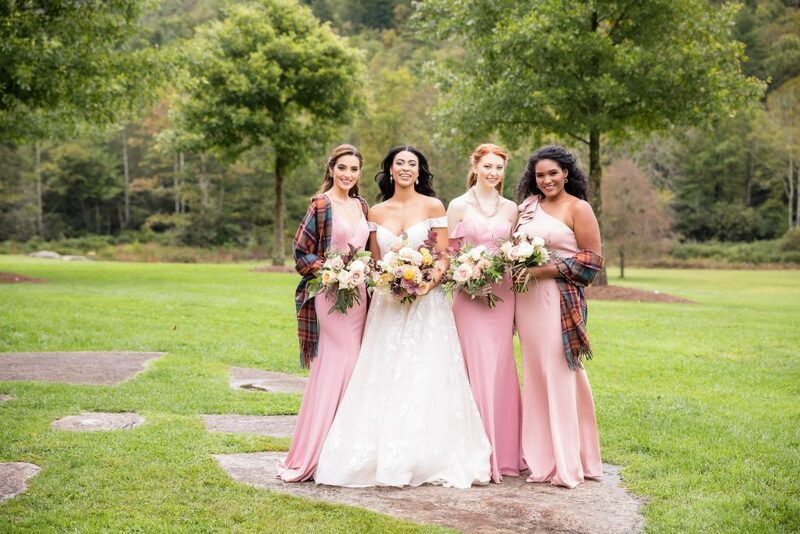 With that, you might be faced with a dilemma: how do you make your bridesmaids feel special and different in the same look? We’re here to help! 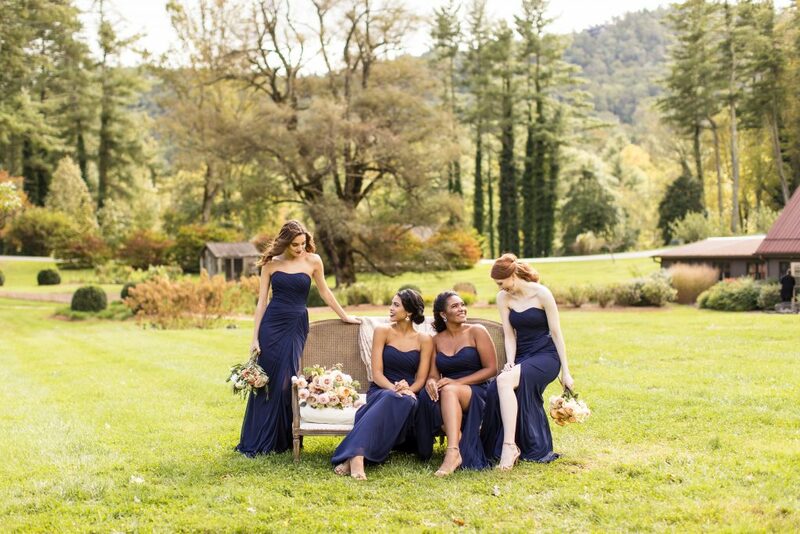 Follow these tips below and your squad will be thanking you all the way down the aisle! Dressing your girls in the exact same dress? Switch up their hairstyles to fit their individual face shapes and personalities. Keep some styles in mind for the morning of so you can let them know, or give your girls the opportunity to choose their own hairstyle entirely! 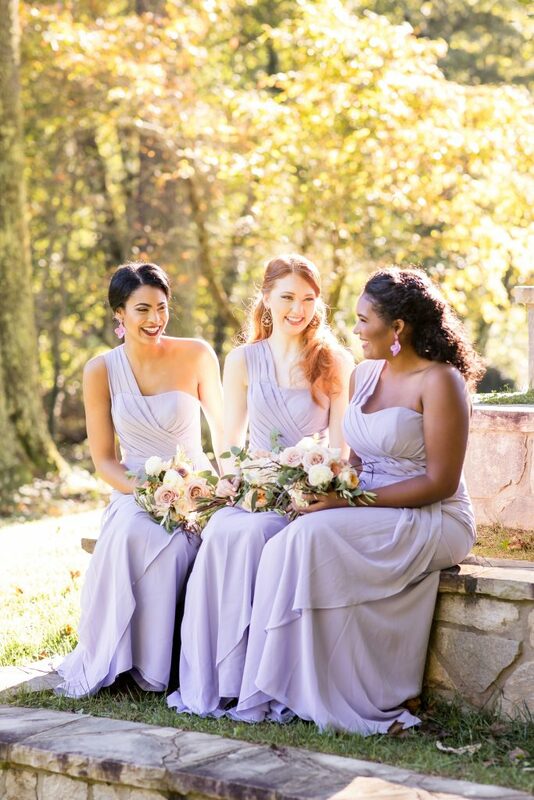 Another way to change up the same dress on each bridesmaid (especially if you are keeping the hairstyles the same) is accessories! 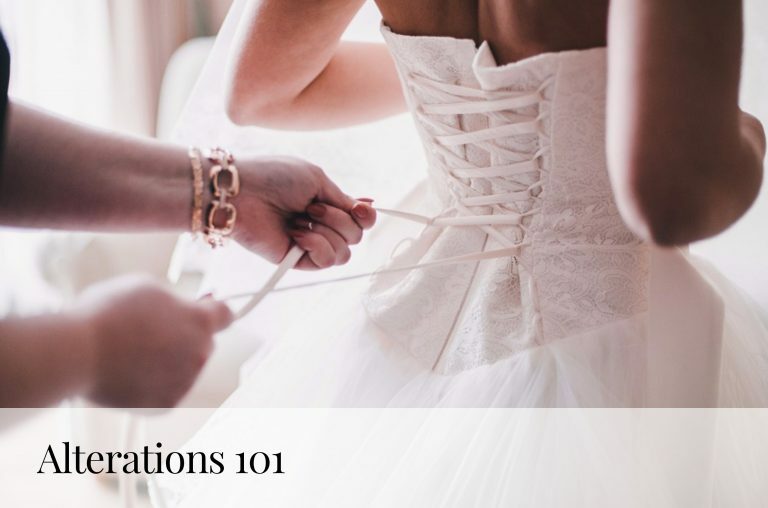 Gift your girls necklaces, earrings, bracelets, headbands—you name it—this gives each of your bridesmaids a chance for some individuality. Better yet, allow them to choose different shoes: it can make for a fun and colorful photo op, or at least keep your team as comfortable as they can be for a night of dancing. 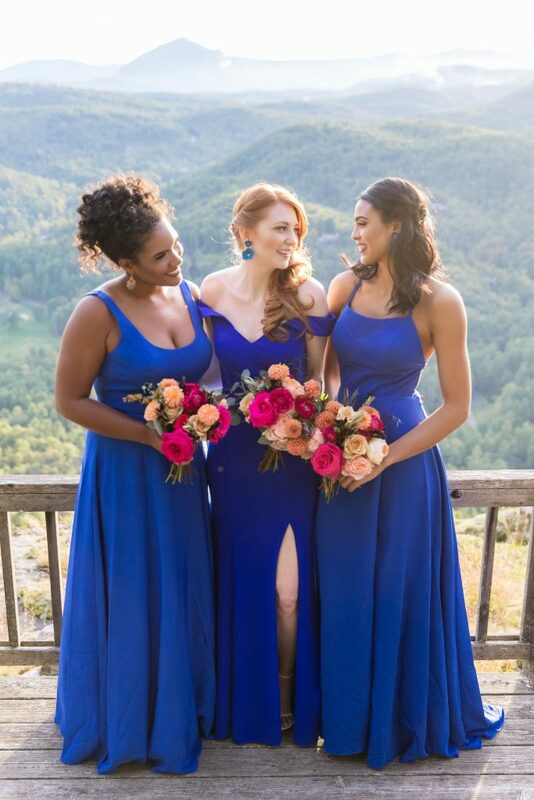 Love blush, or in this case, cobalt blue? Go for it! Still want your girls to feel unique? Go with different silhouettes for the perfect mixed and matched look. 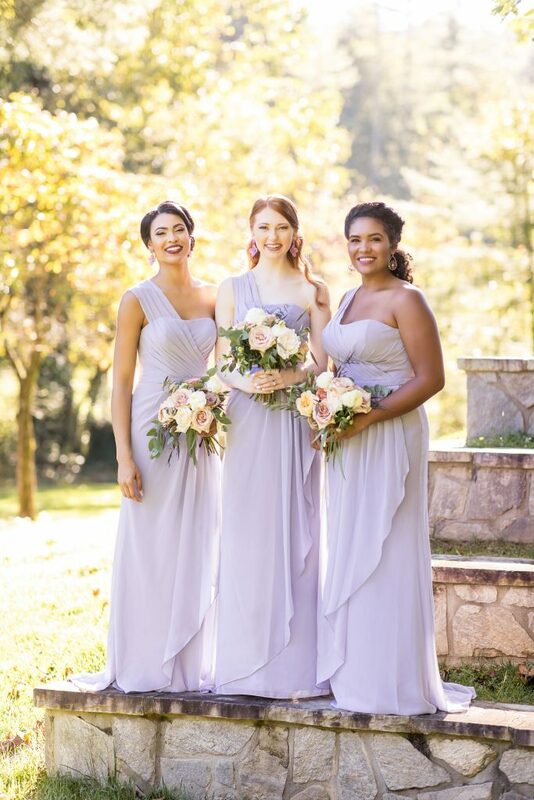 Plus, each of your bridesmaids can look and feel their best by wearing a silhouette that most compliments their shape. Adjust the color between styles just slightly. 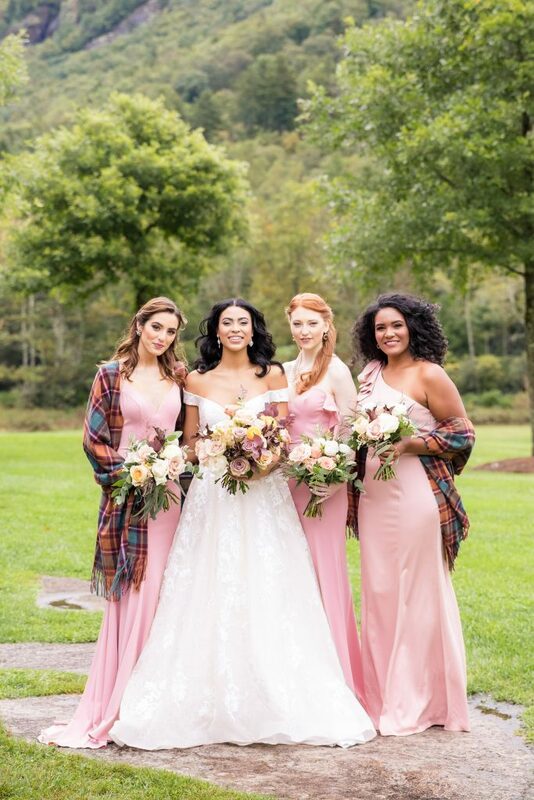 For the ultimate matching-but-still-different feel, choose a few different styles in a variety of shades of the same color, like these blush options above. 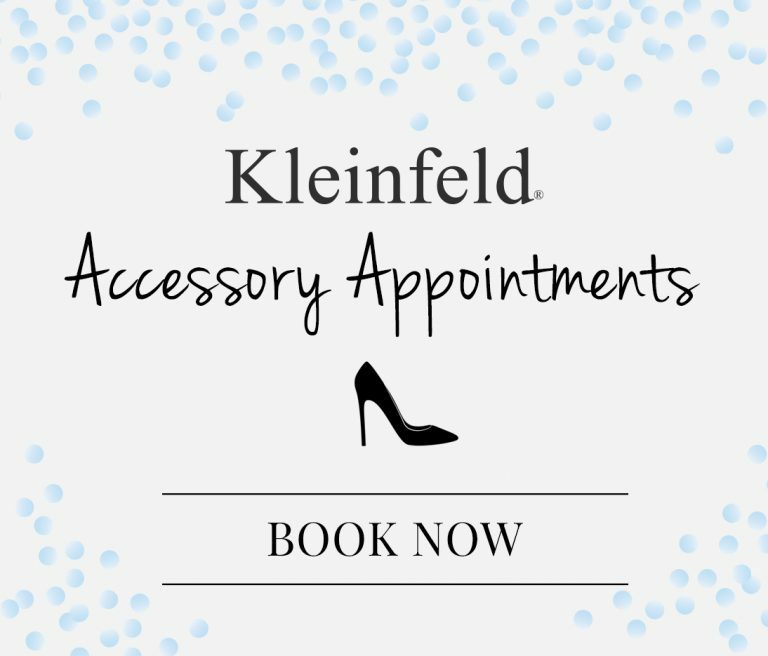 While other companies might not offer this, Kleinfeld Bridal Party offers countless styles in tons of shades—the options are limitless! 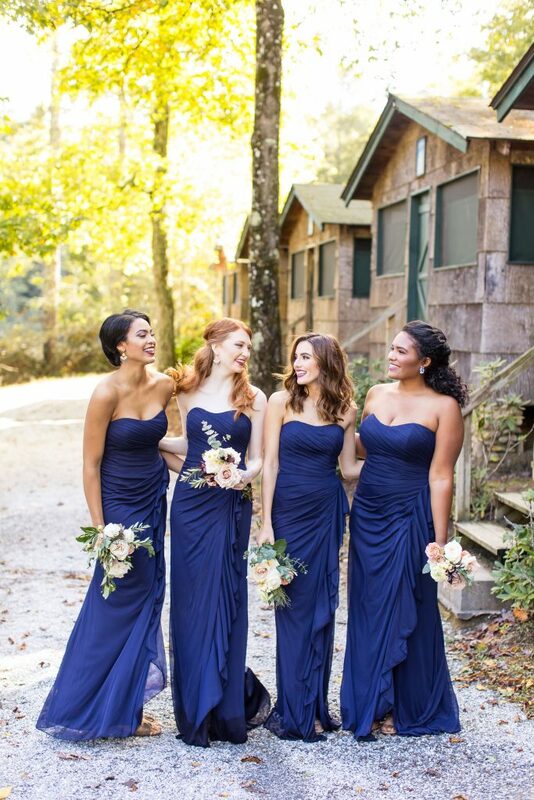 Love these bridesmaids looks? Of course you do! 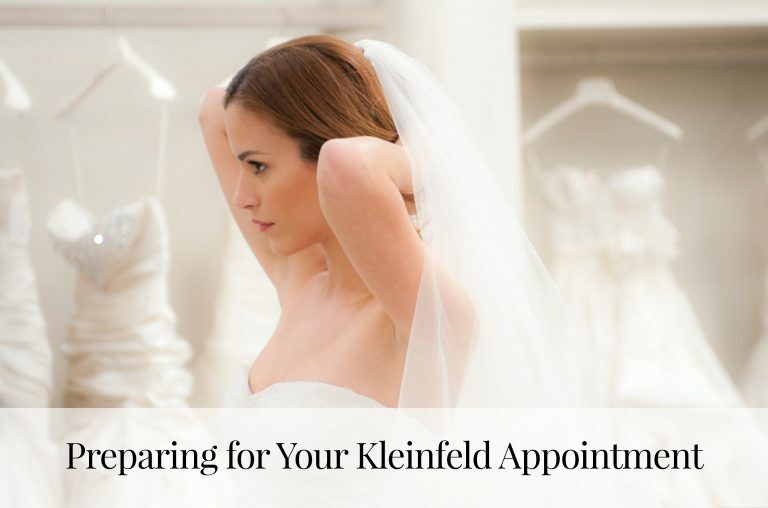 See more over at Kleinfeld Bridal Party. 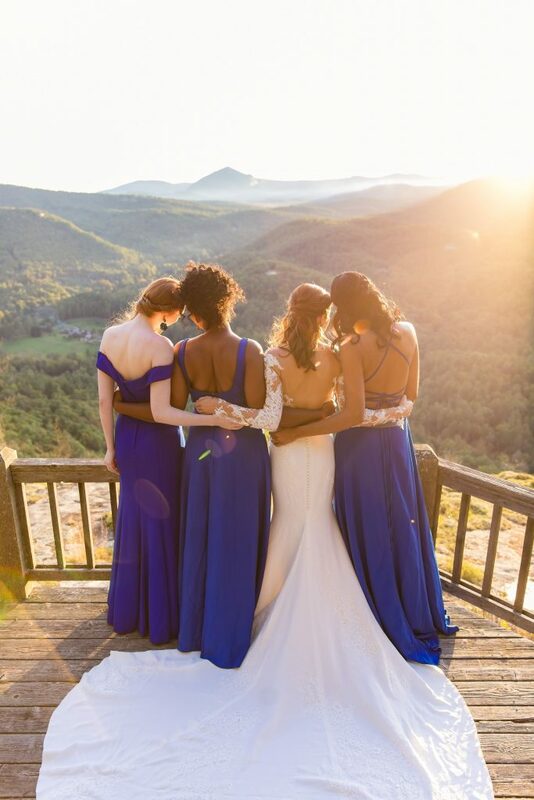 Need more bridal party inspiration? Read more here and here.